Mod your games with user created plugins and skins. Download LuluBox app for android. LuluBox is stunning plugins sharing platform where you can get unlimited customizations for you games. It lets you load skins and plugins in order to deliver you great enhancements options. LuluBox collects all the games on your Android and lets you unlock new features. It is give you plugins for Android games and works like a pandora box. It works in a way similar to Parallel Space giving you the options to play games with new modded account. Once installed and configured remember to start any game for LuluBox in order to get the magic effects. It is a great app because no hacking skill are needed. You don't have to download any modded APK and no root permissions are needed to play any game. It uses the games on your phone and lets you use free plugins. LuluBox has a very nice and clean interface. It lets you choose which game you want to use and shows you tips, guides and more. Use these handy options to get the full potential of your game. 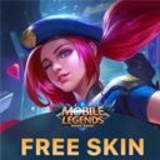 Some of the features of LuluBox include unlocking of all heroes' skins of Mobile Legends for free. You can also have a fashion skins for Garena Free Fire, battle themes for PUBG and mobile UI skin, unlimited coins for Subway Surfer or all skins of HOLE.io and Rise Up. It also offers chat where players and mod developers can discuss experiences and new ideas. As a plugin sharing platform LuluBox is a top game management tool you can have installed. It will provide more fun and entertaining experience while playing your favorite games. Note that all LuluBox's plugins are uploaded by users. Create a plugin for for yourself and share it with others from LuluBox's website. LuluBox creates a lot of contests and giveaway on their Facebook page. You can follow it and engage in some to win free stuff. What is LuluBox? You can browse media content about LuluBox on Pinterest, where great images are added every day. Watch how to install and use LuluBox videos on YouTube. You can also look for LuluBox app on Amazon Appstore. Which gaming app is best for Android? Install top gaming apps for Android. Try every one to decide for yourself. ROBLOX is a free app by Roblox Corporation. It is games, adventure, action, gaming app in v2.37 ready to download. Game Booster is a free app by BGNmobi. It is tools, boost, gaming app in v4.12 ready to download. Play games faster on max performance. Gamee is a free app by Gamee. It is games, fun, gaming, social app in v2.02 ready to download. Play all kind of games with your friends.